Workers who take medications that may be affected by extreme heat. Exposure to extreme heat can result in heat stroke, heat exhaustion, cramps, or rashes. Hot weather can also interfere with work equipment such as causing eye wear to become fogged up, loss of grip and control over equipment due to sweaty palms, increased temperature on certain surfaces, glare and heat-induced fatigue. 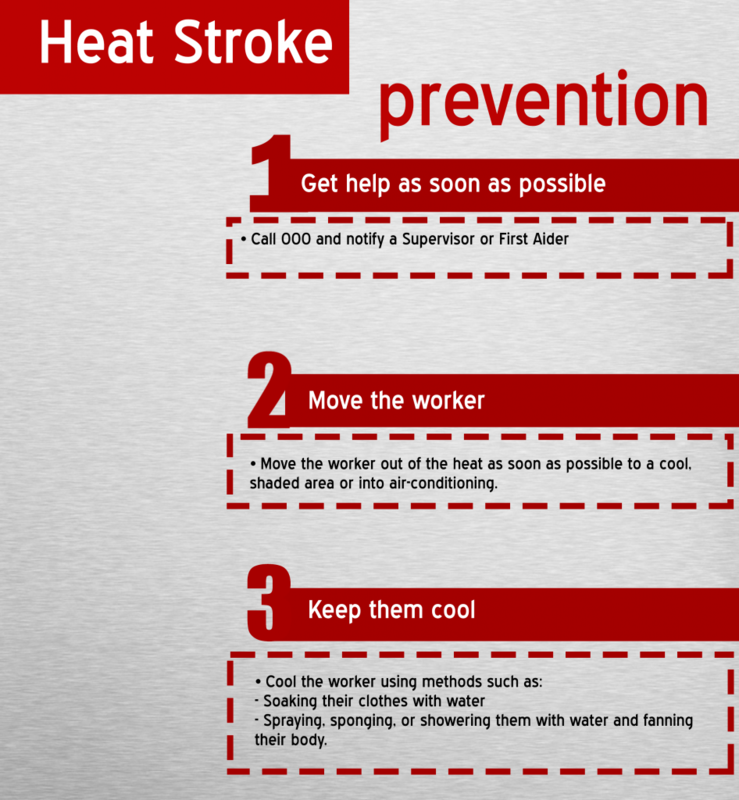 Prevention of heat stress in workers is important and it’s vital to educate your employees so they can understand what heat stress is, recognise the signs and how they can prevent it. Having procedures in place can minimise the risk of incidents occurring, therefore protecting your bottom line. Heat stroke extremely serious as it can come on quickly and if not dealt with quickly, has serious repercussions. In extreme situations, it can lead to death. Heat Stroke is when our body is no longer able to regulate its temperature. As a result, the body’s temperature rises rapidly. When this happens, the sweating mechanism fails and the body is unable to cool down. When heat stroke occurs, the body temperature can rise to 41°C or higher within 10 to 15 minutes. 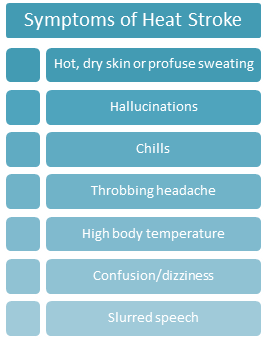 Heat stroke can cause death or permanent disability if emergency treatment is not given. Schedule maintenance and repairs and gardening, green keeping in the early in the day. Reduce the physical demands of workers, by ensure that they have regular rest periods throughout the day. Ensure that extra workers for physically demanding jobs are available to lighten the workload. Provide cool water to workers. (workers operating in hot areas should be drinking around 1 cup every 15 minutes to replenish the body’s supply). Provide cool shaded areas for use during break periods. Monitor workers when working outdoors and in potentially hot areas. Provide hats and sunscreen (SPF 15 – 30+) and ensure that workers use this. Provide summer and winter uniforms to ensure that appropriate clothing is worn. (Summer uniforms should be made of breathable materials such as cotton). Following these guidelines will ensure that you maintain a safe workplace, avoid placing your workers at risk and show your employees that you care about their well-being. If you would like to know more about how you can protect your business and the workers that are its life blood, or would like to book a training session, please contact the safety team at DWS.